That a captain can completely change the fortunes of a team was very much evident on the second day of the Trent Bridge Test between England and South Africa. 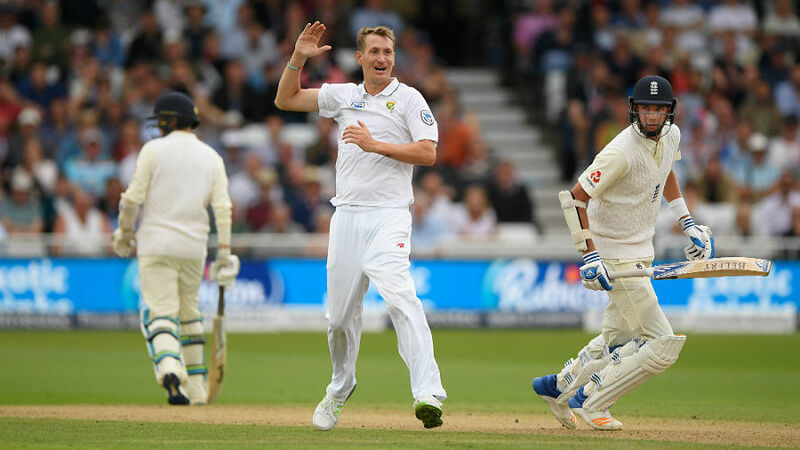 The Proteas who were looking nothing less than a fragile unit in their 211-run defeat at Lord’s were all over the hosts in on the second-day, bowling out Joe Root & Co. for 205 to take a big 130 runs lead. Faf du Plessis had failed with the bat in the first innings, scoring only 19 but made up for it with his brilliant tactics on the second day as he guided his team to a commanding position. Speaking after the day’s play, South Africa allrounder Chris Morris hailed du Plessis’ captaincy. “Faf is solid and quite clear with his plans and speaks a very good language with the team. He’s an excellent leader,” Morris added. Du Plessis’ exceptional captaincy was very much proved with the way he handled Morris. The fast-bowling all-rounder had gone for 20 in his first three but after a brief chat with the skipper, he conceded only 18 runs in his next 5.5 overs in addition to picking up 3 wickets. “The message was clear from Faf: be aggressive and bowl fast. For me that cleared any doubt on what I needed to do,” Morris said. South Africa are firmly in the driver’s seat after finishing 75 for 1 on the second day, taking their overall lead to 205. And while Morris looked unsure of the target his team was planning to set, he looked confident of defending whatever target his skipper was going to set.